Nothing much happens around here, but that suits Antoinette Ellis perfectly. She wants the cocoon the village provides. Fate has taken too many of her loved ones, and all she has left is her brother, and their late sister’s daughter, Tabitha. Antoinette gave up her future to look after her young niece, but her sacrifice hasn’t gone unnoticed. When a stranger called Rufus moves into the grim, grey house opposite her cottage, odd things start to happen in Fools Castle. He admits he’s not the person he appears to be, but he won’t reveal who he really is. And what secrets lie within that little old book of his, which no one is allowed to look inside? A miracle is long overdue, but the season for miracles is just around the corner. 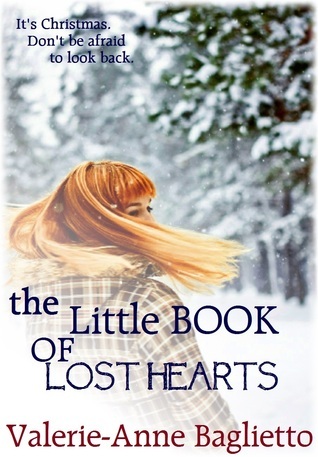 I really enjoyed this novella and it had my attention from the first page – it’s perfect to get you in the mood for Christmas with an engaging cast of characters and a magical feel to the story. Antoinette lives in a cottage in Fools Castle, with her young niece Tabitha, following the sudden death of Tabitha’s parents. 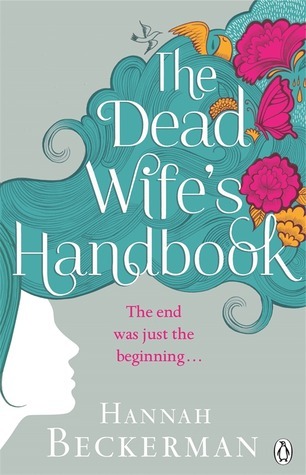 She has put her own life and dreams aside to make sure that Tabitha feels safe and secure but when a mysterious stranger, Rufus, moves into the rented cottage opposite, events force Antoinette to review her life and she has to decide whether she wants to continue to play it safe or take a chance. Besides Tabitha, Antoinette’s only other remaining family is her older brother Sawyer, who lives in Fools Castle with his two step children. Sawyer could be a bit of a grump and his natural instinct to protect his sister, often put the two of them into conflict however I liked the way that Antoinette stood up to him when he tried to interfere. Although this a short read, there is still enough of a story and background to make it interesting with well-drawn characters. The village of Fools Castle – and a few of its inhabitants – will be appearing in the author’s next full-length work, due for release in 2014. I will certainly be looking out for this one. I was pleased to discover that I had another book by this author on my Kindle, Once Upon a Winter, purchased earlier this year, which I look forward to reading. My thanks to Valerie-Anne for sending the digital copy in exchange for an honest review. A haunting and compelling debut novel that will appeal to readers who loved Sister by Rosamund Lupton and Before I Go to Sleep by SJ Watson. She closed her eyes and he was gone – who is watching him now? When Carrie’s five-year old son, Charlie, disappeared on a Norfolk beach, her world was destroyed. Now, three years on, she is persuaded by her mother to visit a local medium. Initially sceptical, Carrie is blown away when he appears to reveal something about Charlie’s disappearance; something that nobody could ever have known except herself. Single mum, Molly, is worried about her young son, Max, who has been having more of his little ‘accidents’ at school and has recently starting talking again to his imaginary friend. Molly knows that Max’s problems stem from his very real anxieties about his father – a violent and unstable man – who they are now in hiding from. Little do the women know that their worlds are about to converge – and both of them will have to face the thing they fear the most. But could the truth destroy them? I was completely gripped by this story from the start. We know early on that Carrie and Damian’s young son Charlie has vanished from a Norfolk beach – what we don’t know is why and how. The story then goes forward by 3 years and life has slowly moved forward for both Carrie and Damian. Sadly their marriage didn’t survive Charlie’s disappearance and therefore currently single, Carrie and her old friend Jen, are preparing to open their gift shop “Trove”. Carrie is thankful to have the shop to keep her busy. She is still grieving for the loss of her son and the guilt over the events of that day still holds firm as she has never forgiven herself for briefly falling asleep that day on the beach when Charlie disappeared. Running along Carrie’s story is a separate strand concerning Molly and her young son Max. The connection between the two women is that Molly and Max were on the beach that very same day and Charlie played with Max for a while. The only time that Carrie and Molly met was when Carrie was frantically searching the beach looking for Charlie. However the lives of the two women are about to become entwined in a deadly manner that nobody could foresee. Not only does this story deal with the devastation of the loss of a child but also with such issues as domestic abuse and violence. The story has a supernatural element and depending on your own individual views, you may have to suspend belief slightly at the turn that the book takes however this does nothing to diminish the suspense and tension throughout the pages. The characterisation is excellent. Carrie’s feelings of guilt and grief are so realistic and we see her conflicting emotions as she receives possible news of Charlie and the ensuing consequences. Her love life becomes quite complicated as she slowly allows herself to start to feel again after having shut down for so long. Molly and, in particular, her son Max were both convincing characters and my heart broke at times for Max. Molly’s desperate attempts to protect her son were almost too painful to read. Max is a lonely child and when he keeps referring to his friend Charlie, his voice is dismissed as that of a young child having an imaginary friend. I thought I knew where the story was going, especially when Jen’s new boyfriend suddenly appeared however I was proved wrong. I’m still not quite sure why he was such a big part of the story, other than to provide a love interest for Jen. There were some parts of the book that were lighter and verging on comedy – especially the scenes with Carrie’s mother, the characters around the shop and Carrie’s musical neighbours! However the overall tone was that of a thriller and it certainly had me turning the pages. 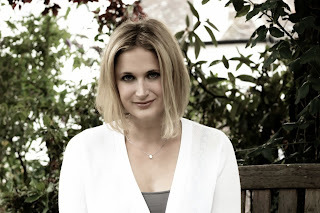 This debut novel gets top marks from me and I would love to read more by Madeleine Reiss. Madeleine Reiss was born in Athens. She worked for some years in an agency for street performers and comedians and then as a journalist and publicist. She has two sons and lives in Cambridge with her husband and her younger son. 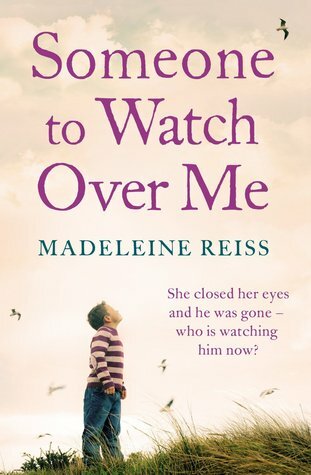 Someone To Watch Over Me is her first novel. Incomer Gloria French is at first welcomed in the Cotswold village of Piddlebury. She seems like a do-gooder par excellence, raising funds for the church and caring for the elderly. But she has a bad habit of borrowing things and not giving them back, so when she is discovered dead, poisoned by a bottle of elderberry wine, folk in the village don’t mourn her passing too intently. Parish councillor Jerry Tarrant hires Agatha Raisin to track down the murderer. But the village is creepy and secretive and the residents don’t seem to want Agatha to find who the murderer is, and Agatha’s investigations are hampered by the emotional upset of finding her ex, James Lacey, has fallen in love with young detective Toni Gilmour. And now the murderer is targeting Agatha! I have to admit that the Agatha Raisin series is somewhat of a guilty pleasure. Over the years I’ve read all the books from the first one, The Quiche of Death and this is now book 24. They are completely over the top in terms of characters and plot lines but I just have to keep reading the series and have become surprisingly addicted to the grumpy private detective. 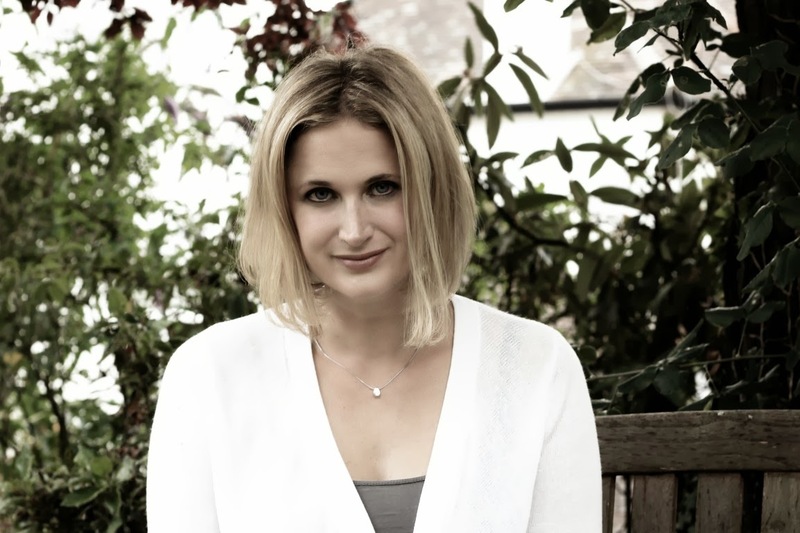 In Agatha’s latest adventure, the body count doesn’t seem to be quite as high as normal – in many of the stories, the Cotswold countryside is normally littered with bodies. Agatha is still like a bull in a china shop in her manner although, in this story, she seems a little more subdued and dare I say it, a teeny bit more tactful, and less interfering, particularly where Toni is concerned. One of the things I like about this series is the Cotswold setting. I adore the Cotswolds and its somewhere I would love to live, although in Agatha Raisin’s world, it’s rather a dangerous place. 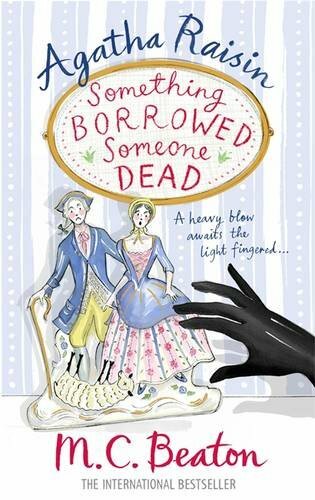 The latest adventure is set in the village of Piddlebury, with the murder victim being Gloria French. Gloria is fairly new to the village and seemingly is a pillar of the community – she helps by raising funds for church repairs, reads to the elderly and does their shopping. However she has a fault – she has a habit of ‘borrowing’ things – anything from flour to a valuable antique chest of drawers and then refuses to return them. It’s inevitable that she is going to gain some enemies – and any one of the good folk of Piddlebury could be a killer. When Agatha is asked to investigate and find the killer, she adopts her usual bullish style and gets people’s backs up around the village – however little does she know that she is in the killer’s sights! She has her work cut out here as the villagers close ranks and try to chase away outsiders interfering in their affairs. Agatha Raisin is never going to be a cuddly Miss Marple character. She’s bossy, prone to extreme jealousy, is extremely vain, has an acid tongue and is addicted to publicity, however this is part of her attraction. The usual cast of characters appear including Sir Charles Fraith – Agatha’s on and off lover/friend, her ex-husband James Lacey, and the wise and kind Mrs Bloxby, the vicar’s wife. Toni Gilmour, Agatha’s young colleague, features more heavily in this book however even her character seems rather lacklustre in comparison to previous stories. Of course there always has to be a love interest for Agatha to obsess over and, basically, stalk, and this time it’s the turn of a fellow guest at the Inn in Piddlebury where Agatha is staying. Unhappily for Agatha, her interest is not reciprocated! All the stories follow the same formula and the ending is of course predictable. The author does seem to think of increasingly bizarre ways to kill people off – poisonous elderberry wine being the latest weapon of choice. I found this story a little bit darker and the villagers creepier than usual, with blackmail and talk of witchcraft. If you’re looking for a serious crime fiction read, then you may be disappointed. If however you want a quick read that’s easy and uncomplicated then this series is ideal. The story takes place over two time periods. We firstly meet Serena in the present day. A young artist, Serena has arrived at the door of 36 Marguerite Avenue, for an interview as a nanny for 4 year old Beth Hartreve. Surprisingly, she is hired on the spot and thus begins her association with the eccentric Hartreve family. We then meet Miranda Whitestone at number 34 Marguerite Avenue. It is 1892 and newly married Miranda is desperately trying to please her husband Tristan. It was a marriage for love for Miranda but one of convenience for Tristan and in truth he despises his young wife. When Miranda invites the glamorous but reclusive next door neighbour, Lucinda Eden, to join them at a dinner party, she can have no idea of the consequences that will follow. I really enjoyed this book and the two storylines, over a century apart, were perfectly woven together. When Serena first moves into no. 36, she falls in love not only with the beautiful Victorian mansion with its sumptuous rooms and air of faded glamour but also with Sebastian, a long-time friend of the family. However, there are undercurrents within the family, making her feel very uncomfortable. Why do they see her as a threat and what are the secrets that they are so desperate to hide? There are some wonderful characters, including Miranda – who changes from the meek person we first meet to a much stronger woman, fighting to save not only her own life, but the lives of others. There is also the unpredictable Lucinda Eden (neé Hartreve), abandoned by her husband Alfonso. The enigmatic mystic Water Balanchine, with his strange costumes and hypnotic manner was an inspired addition to the story. Young Beth can a precocious child and seems very much older than her years. Can she really hear the ghostly cries of a woman in her bedroom or is it just her imagination? With alternate chapters telling the stories of both Serena and Miranda, what could be just another romance story is turned into a tension filled, dark supernatural thriller where evil forces threaten the living. I certainly didn’t see the twists and turns coming towards the end. This was a perfect atmospheric and gothic ghostly read which I am sure you will not be able to put down – I couldn’t, and I can’t wait to read the next book due in 2014 which I understand will be a prequel featuring Walter Balanchine and his life in the poor Victorian East End of London. My thanks to the author for the digital copy for review. 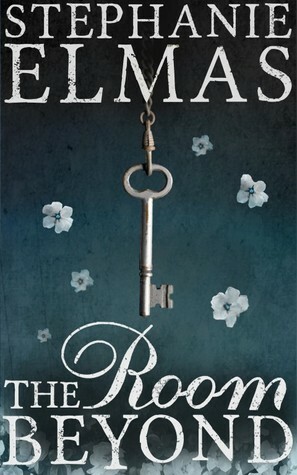 Room Beyond took SEVEN years to write, an enormous labour of love!